My husband and I have been talking for a while now about how we need more actual photos printed and things of the like. So we came up with a solution: a seasonal scrapbook where we will gather our memories from each season and put them together in a single book to save forever. For a part of this little experiment we decided to have 5(7) different pages. Photos, food, questions, journal overviews, and a page for our different tickets or mementos of sorts (movie tickets, if we travel, different flyers for events, etc). I thought that it would be fun to have stained paper for our journal overviews, so last week I decided to make some! It’s super easy. 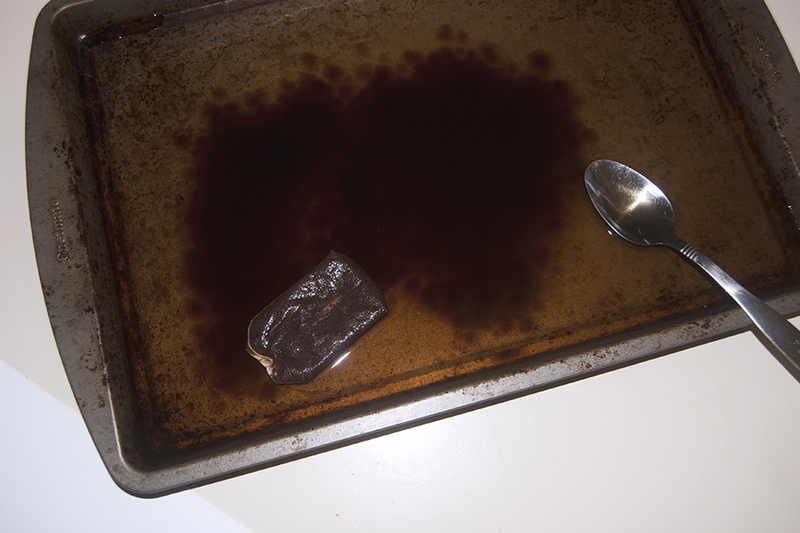 Just take a black tea bag and some instant coffee granules and pour hot water over them in a cookie sheet. You might have to stir it around a bit. 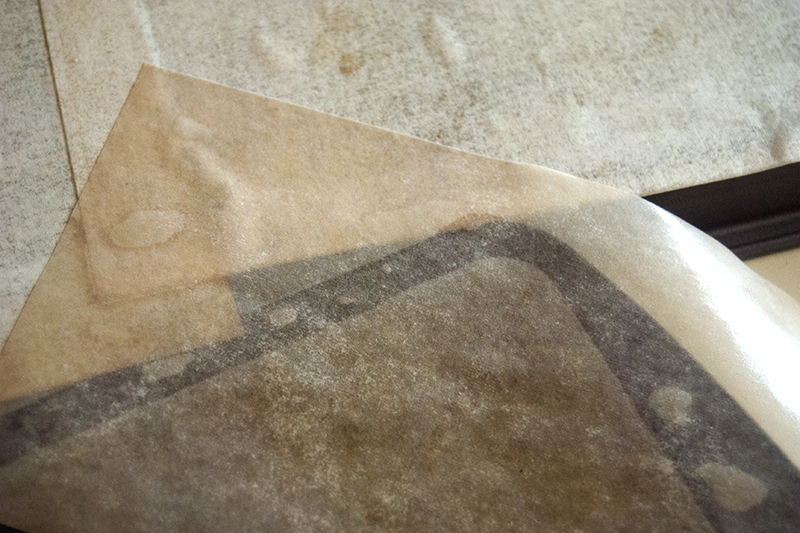 Once the water cools and you have your tea/coffee mix, take a piece of white paper and submerge it in the liquid. Be careful not to leave it in too long or the paper will become really fragile and begin to tear. I just covered it, flipped and covered it on the other side. Gently lift the paper out and place it on an overturned cookie sheet. Let it dry 10-20ish minutes, flip, and let it dry the rest of the way. 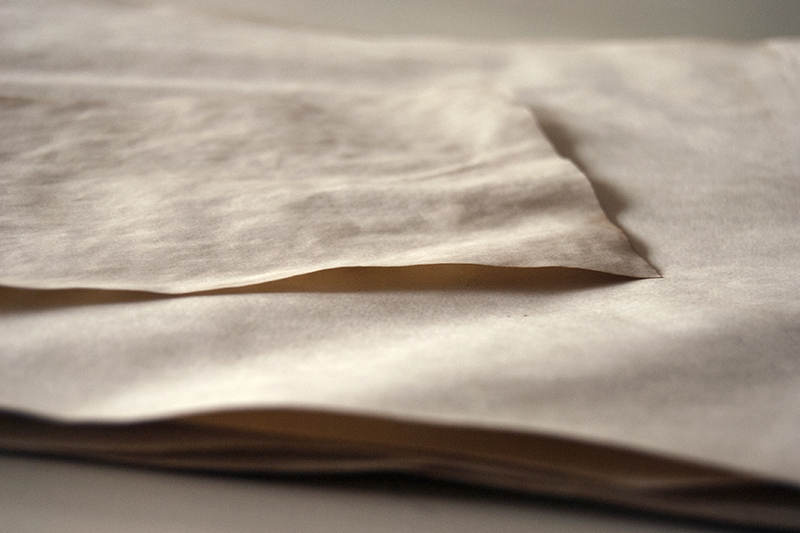 Once dried, stack your freshly stained papers and use them as you wish. I hope you have as much fun doing this as I did. I’d love to hear what you use it for! Have a wonderful week everyone!